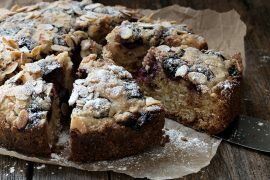 Beautiful moist cake, studded with cranberries and sprinkled with a vanilla-scented crumble. 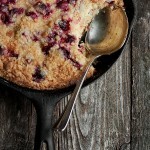 A delicious Skillet Cranberry Vanilla Buckle. I love cranberries. I especially love cranberries in baking, because I don’t think you can beat them for providing a tart contrast to a sweet dish. This cake is a winner for a number of reasons. First, it bakes up beautifully in a skillet. 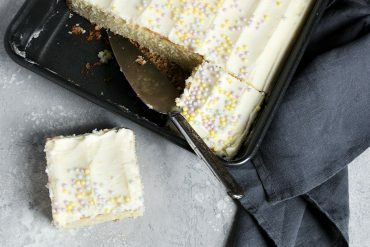 It is a beautiful, moist cake inside (thanks to the sour cream), but crunchy on the outside and on top, which is generously sprinkled with a vanilla-scented crumble. And then there’s the cranberries, that burst as they cook and infuse the cake with flavour. It’s a thing of beauty I tell you! 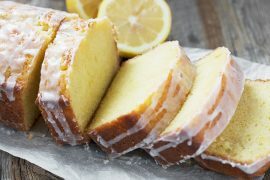 This cake is technically a buckle. In case you’re lost in the world of crisps, cobblers and grunts, a buckle has fruit mixed in with the batter and usually, sprinkled on top. I would recommend this buckle for a warm, Fall morning treat (it’s not too sweet, so it’s perfect for breakfast or brunch). Or serve it warm with ice cream for dessert. 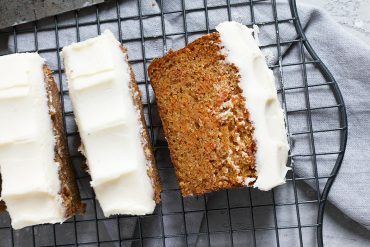 The optional orange zest is a great addition for a breakfast or brunch cake. If serving for dessert, you can go either way. With Thanksgiving coming, this is one you might want to keep in mind for your holiday brunch table. It would also be perfect for Christmas. Since it’s cranberry season, now is the time to stock up on cranberries and freeze them. 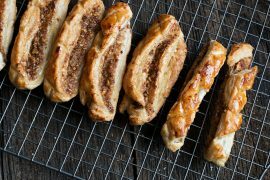 They will keep up to a year in your freezer! My skillet used here is 8-inches across the bottom and 10-inches across the top. 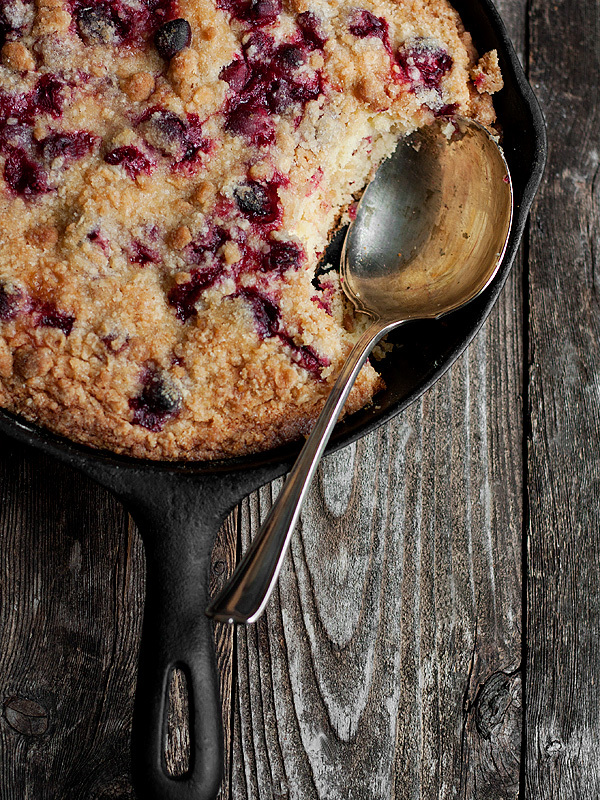 This is a moist cranberry skillet cake, flavoured with vanilla and orange zest and topped with a crunch, vanilla scented crumb topping. Baking time will vary, based on the size of your skillet. Watch carefully first time you make it. To make the topping: combine the flour, white and brown sugars, salt, and butter in the bowl of a food processor. Pulse until the mixture is the texture of coarse crumbs. Drizzle the vanilla over the mixture and either pulse briefly to distribute the vanilla. (If you don't have a processor, you can do this by hand by cutting the butter into the dry ingredients). Cover and refrigerate until needed. Preheat the oven to 350°Butter a 8-inch cast-iron skillet. 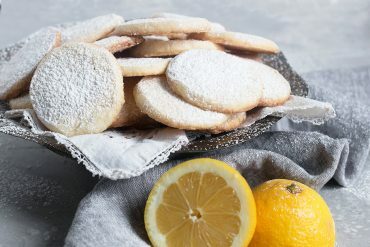 Using a handheld mixer or a stand mixer with the paddle attachment, cream the butter, sugar, and orange zest together on medium-high speed for 3 to 5 minutes, until light and fluffy. Add the eggs one at a time, scraping down the sides of the bowl after each addition. Stir in the vanilla. Add in the flour mixture in three additions, alternating with the sour cream in two additions, beginning and ending with the flour mixture. Scraping down the sides of the bowl as needed. Fold in 1 cup of the cranberries. Spread the mixture evenly into the prepared skillet. Sprinkle the remaining 1 cup cranberries evenly over the top of the cake batter, then sprinkle the crumb topping over the cranberries. Bake for 45 to 60 minutes, or until lightly golden and firm on top. (Timing will depend on the size of your skillet. My cake took 60 minutes. 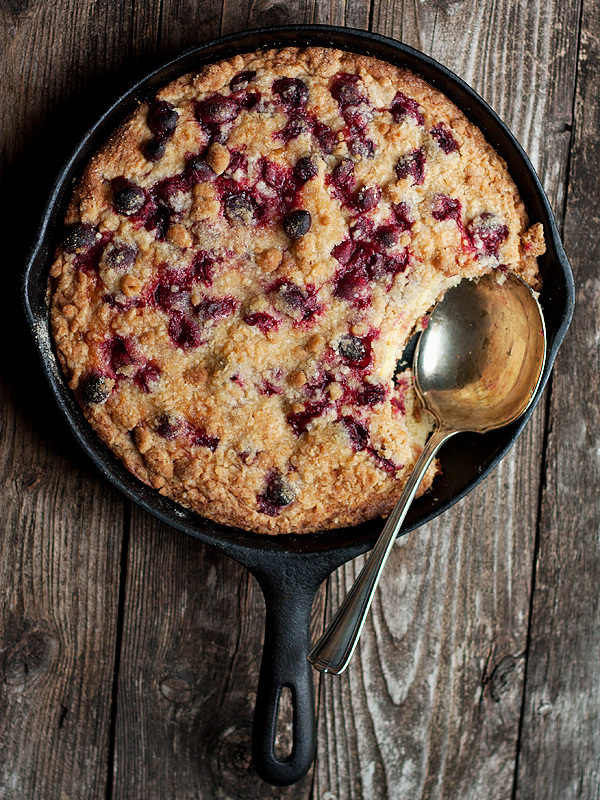 If your skillet is a bit larger, your cake may take less time. Check often near the end of cooking). First, I made this yesterday and oh my goodness it is yummy. Thank you for sharing the recipe. Second, I was wondering if the skillet that you used is particularly deep sided? Because my cake complete filled a 10 inch skillet to the brim and would have overflowed out my standard 8 inch skillet. I was about to make this when I realized it only lists 2 servings. I was hoping to take this to a dinner. 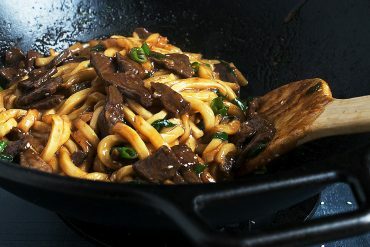 How would I adjust this recipe for a 12 inch skillet? Thank you! I haven’t heard of buckle before.. but it sure does look scrummy! Thanks so much, Trisha. Happy to have discovered your blog! 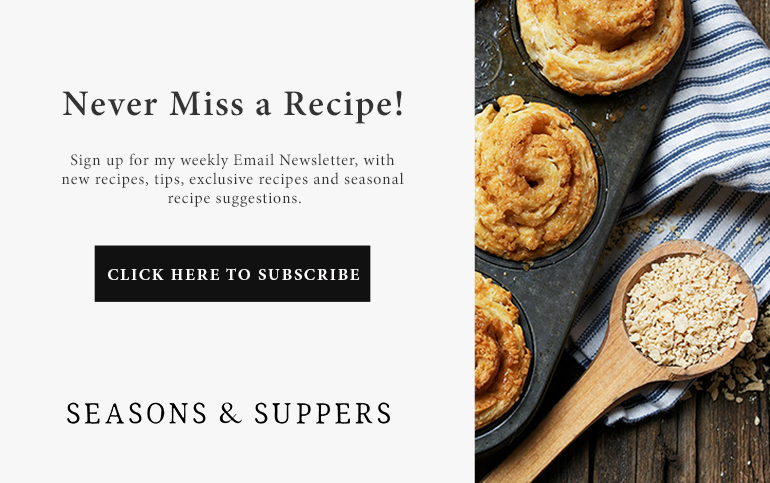 Will definitely follow to see what you’re baking up, too! What a great buckle! I don’t bake with cranberries often enough. This looks perfect for our bi-weekly Brunch Club as the holidays get nearer and nearer! Thanks and yes, Sophie, this is perfect Brunch food! 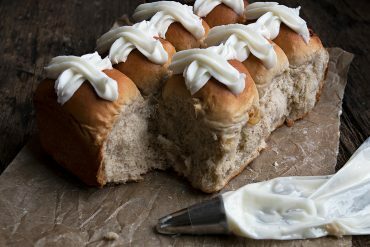 Such a gorgeous buckle, I love the flavors and the ease of baking it in a skillet! Thanks Laura. Me too. There are few of these type of desserts aren’t more perfect when baked in a skillet!